Inside wall where wire was snaked for door phone. 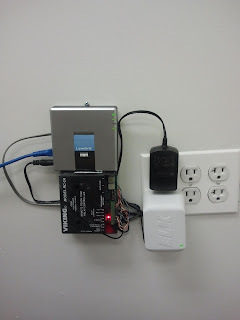 As shown in a previous post HERE, I made a small of a hole as possible to snake the wires. 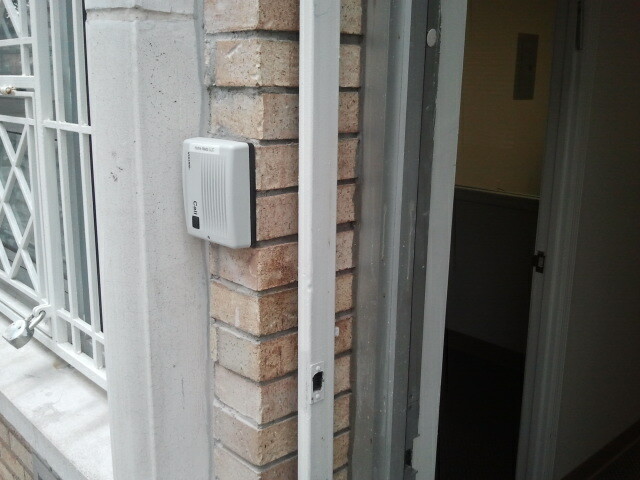 First I drilled thru the brick into the building where I wanted to mount the door phone. Then I reamed the hole in the sheet rock enough to send my snake up to the drop ceiling to fish the wire behind the walls. 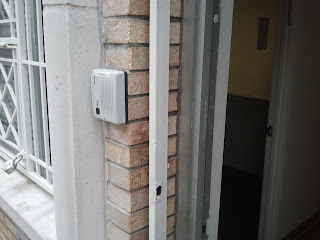 Once the wiring was in place I was able to mount the door phone. I also had to install a keypad for an interior door. 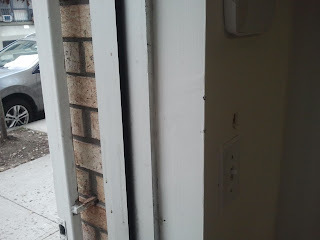 The door was not wired for an electronic door latch so I drilled into the door frame, and made a small hole in the wall to fish the wire from the opening made for the keypad to the door latch. As the network room is located in the basement, I just installed the relay and power for the door phone and latches in the office. 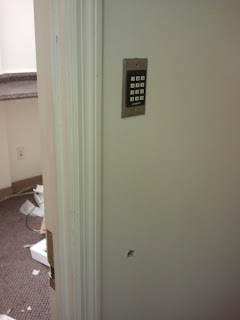 The wiring going to the door phone and keypad was snaked down the wall behind the relay.